Email psrbook@uh.edu for questions regarding the Provost Summer Read Program. 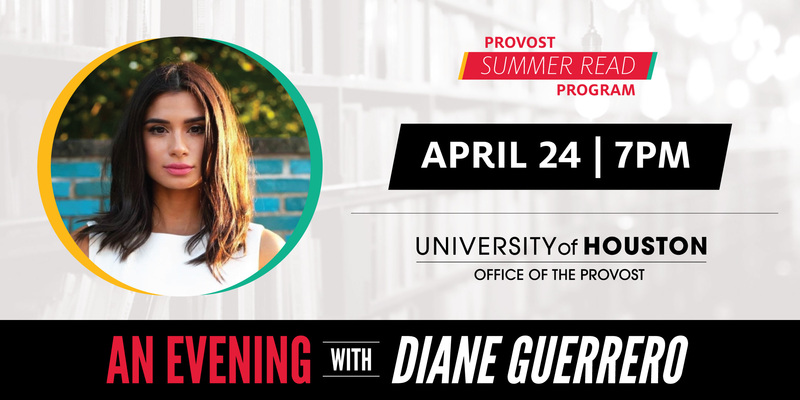 The Office of the Provost is pleased to announce that Diane Guerrero, author of In The Country We Love: My Family Divided, will engage the university community in a discussion of her work on April 24, 2019. The event is presented by the Office of the Provost as part of the Provost Summer Read Program. You need a ticket to attend this event. To RSVP to attend, click here. 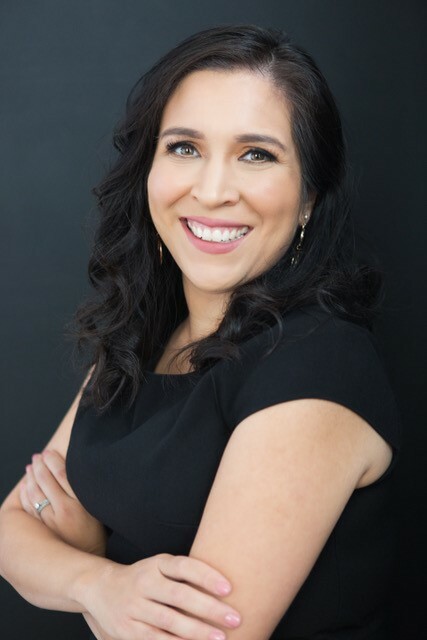 Diane will be joined in conversation with Dr. Ruth María López, assistant professor in the Department of Educational Leadership and Policy Studies in the College of Education. Dr. López’s research examines policies that impact the educational experiences of students of color; the education of immigrant and undocumented students; and issues of equity and access at all levels of education. The Provost Summer Read Program is built around a common book that is read over the summer by all first year students. This year's book is In The Country We Love: My Family Divided by Diane Guerrero. After first year students arrive on campus to begin their fall semester of classes, they will participate in a meaningful dialogue with faculty and your peers, inside and out of the classroom. Through this poignant and timely work, actress Diane Guerrero personalizes immigration reform conversations by sharing her own story. In chronicling the challenges faced by Ms. Guerrero and her family, In the Country We Love provides the Class of 2022 with a unique perspective to consider on the journey to self-discovery while also examining the importance of support systems. What is the Provost Summer Read Program? The Provost Summer Read Program is built around a common book read by all first-year students during the summer. 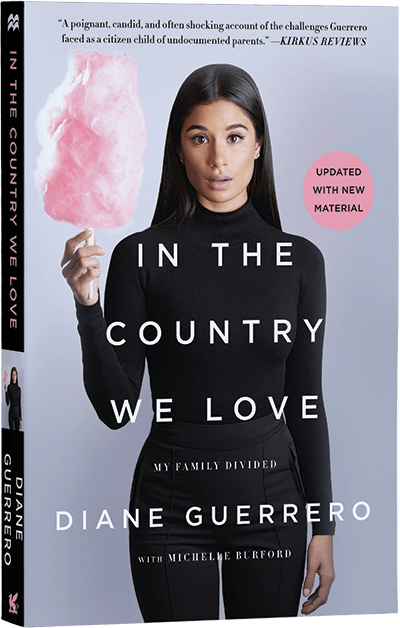 The book selected for 2018 is In the Country We Love by Diane Guerrero. How do I obtain a copy of the selected book? The Office of the Provost is pleased to provide first-year students with a copy of the book which will be distributed during the summer. Students can buy additional or replacement copies at the University bookstore or other retail outlets. Electronic versions can also be purchased through popular bookselling websites. Who participates in the Provost Summer Read Program? All incoming freshmen will read the selected book and participate in a meaningful dialogue with faculty and your peers, inside and out of the classroom. Who should I contact if I have additional questions about the Provost Summer Read Program? We are eager to answer your questions and provide further information about this program. Please email one of our program specialists at psrbook@uh.edu for a prompt reply.